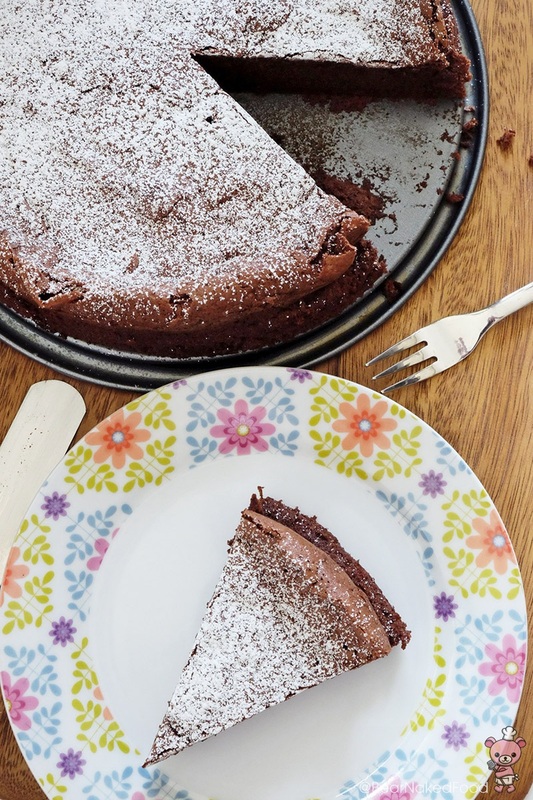 Hooray for all gluten-intolerant chocolate cake fans! 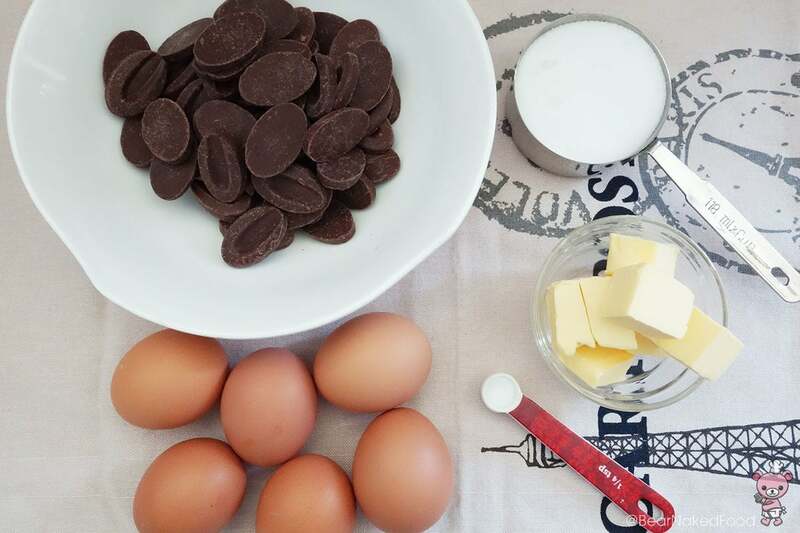 Today’s recipe is all about chocolate. NO flour allowed. 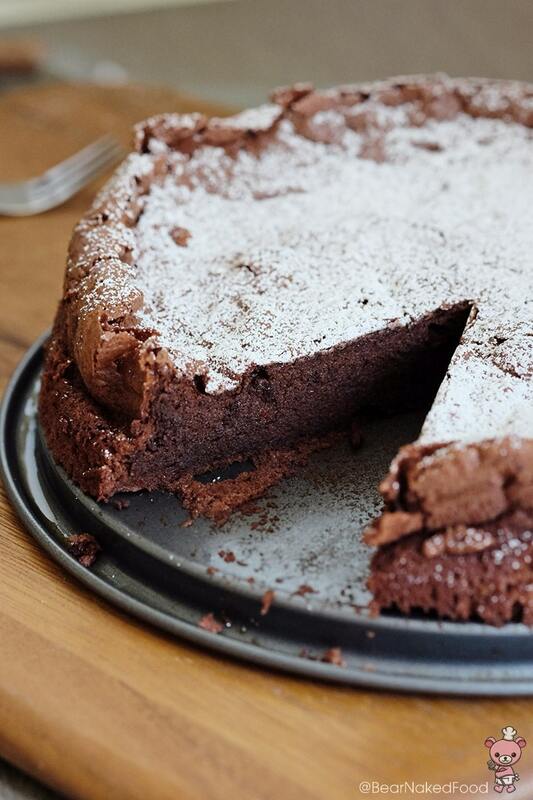 This is a rich and decadent chocolate cake but yet light and fluffy at the same time. 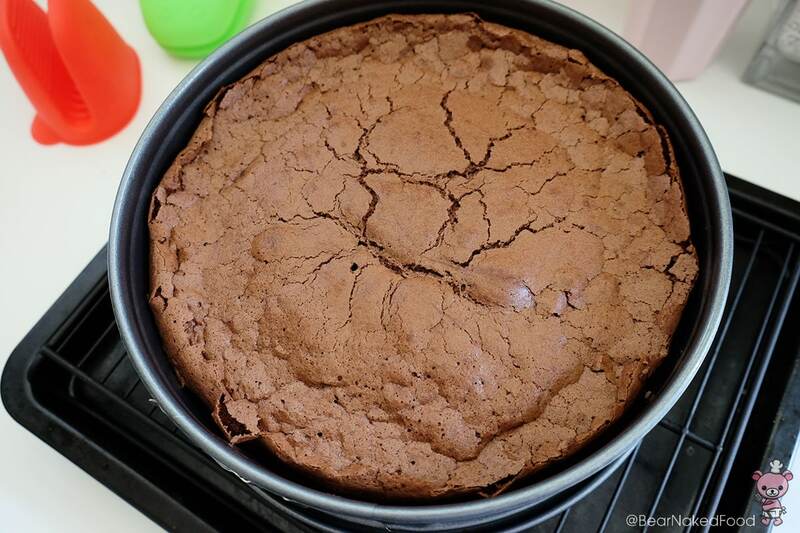 Think soufflé – in the form of a cake. 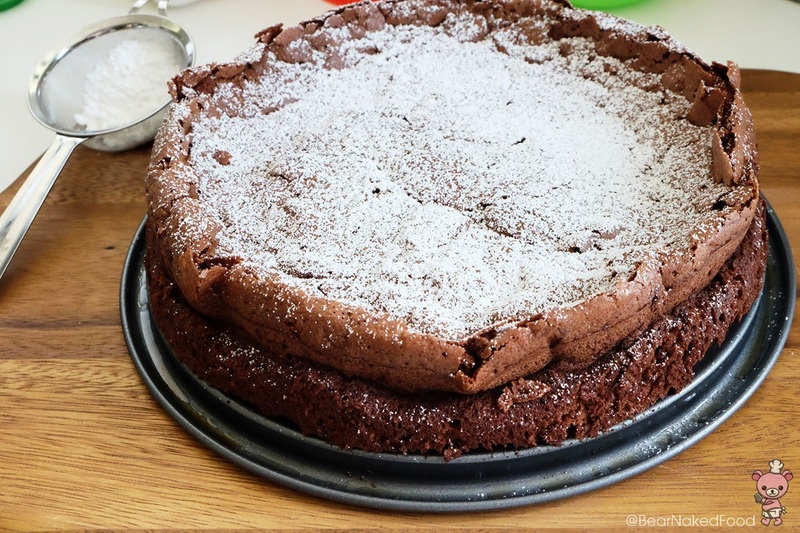 Heck, perhaps I should’ve just called it Chocolate Soufflé Cake! 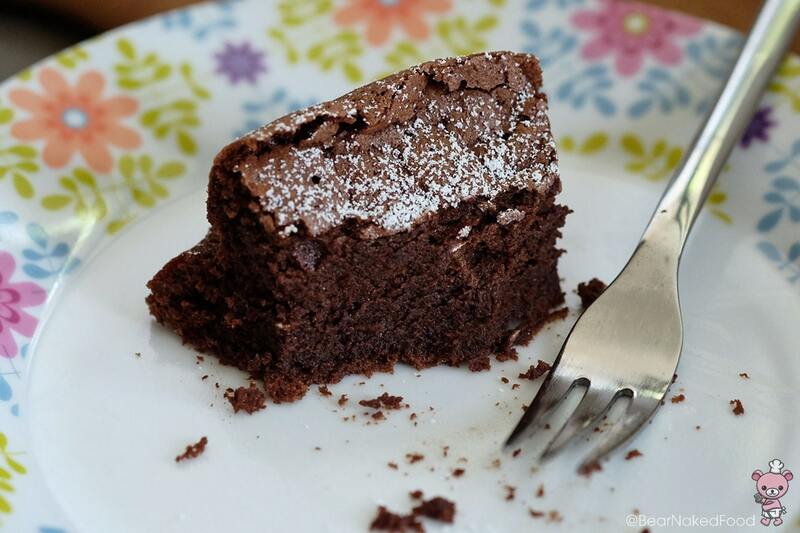 The original recipe calls for 4 ingredients but I added in a pinch of salt to elevate the chocolatey goodness. Sneaky, right? 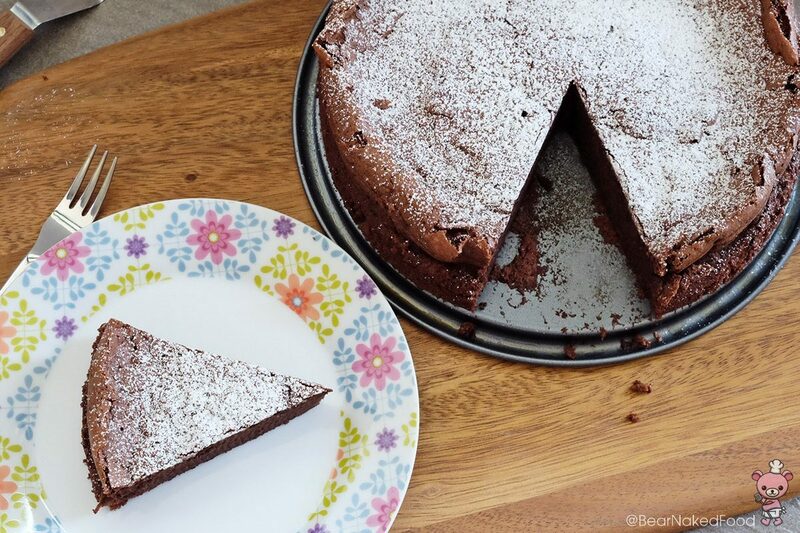 The signature look of a Flourless Chocolate Cake is its crackly top and it will sink in the middle when cooled and that’s very okay. 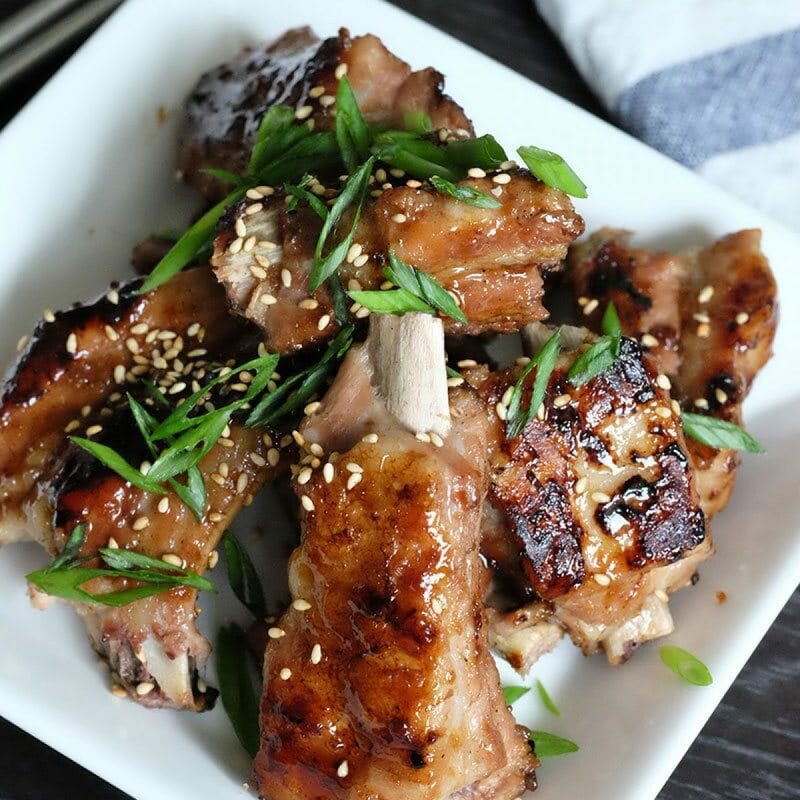 You’ll be rewarded with an intense, moist and airy texture, in very bite. 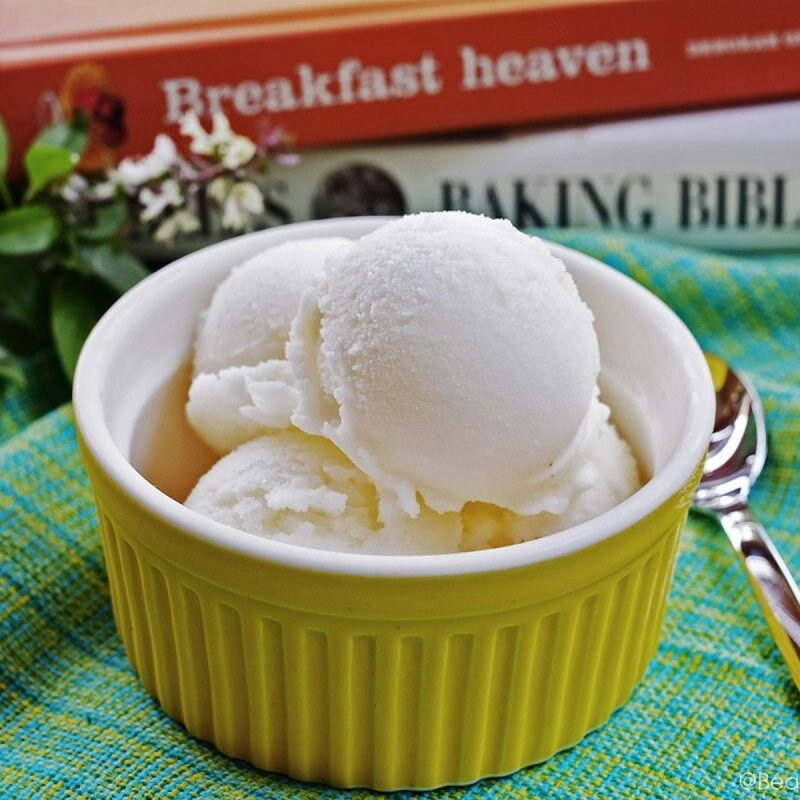 You could dress it up by dusting some confectioners’ sugar on top. An important note: It is definitely worth investing in some good quality baking chocolate, i.e Belcolade, Green & Black, Valrhona, Ghirardelli (I’m using Valrhona) as the flavor and success of this cake highly depends on it. 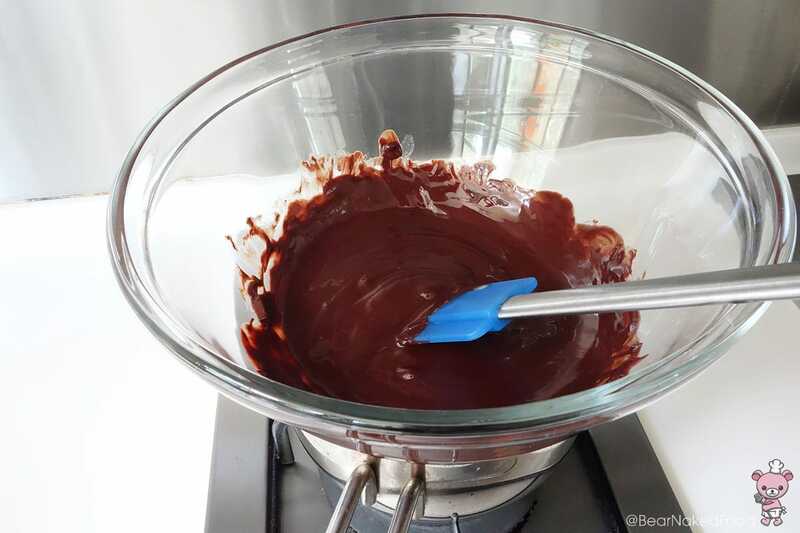 In a large bowl, melt the chopped chocolate and butter over a pot of simmering water (bain marie method). Do not let the bowl touch the water. 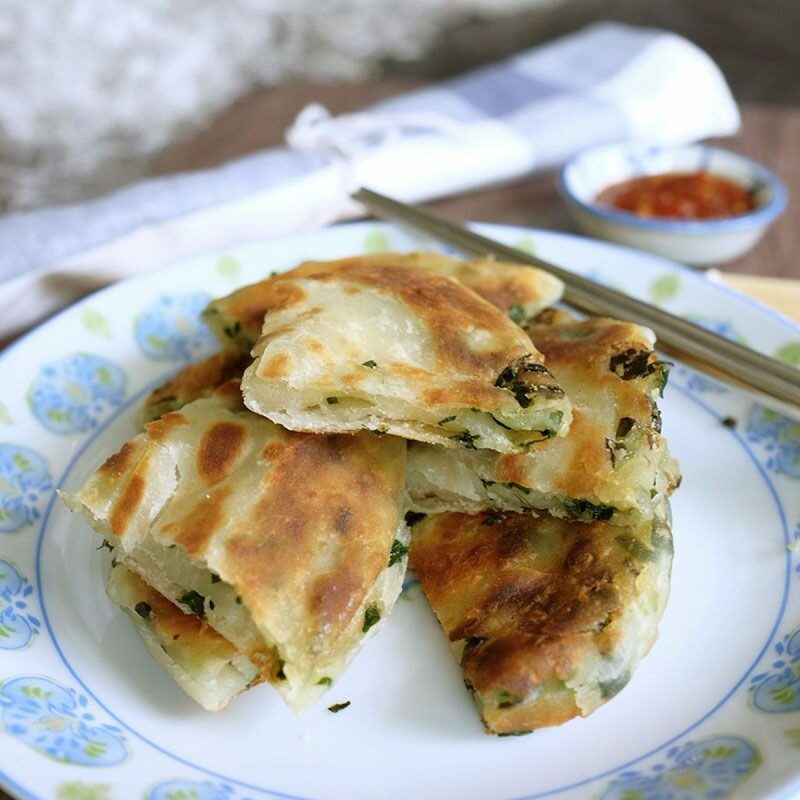 chop them into smaller pieces so they’ll melt faster. 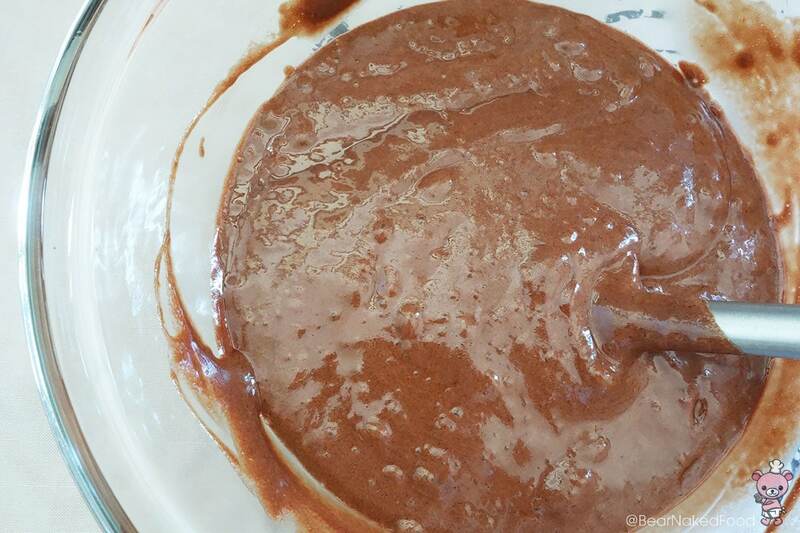 Stir until the chocolate and butter are dissolved. Remove from heat and set aside to cool. 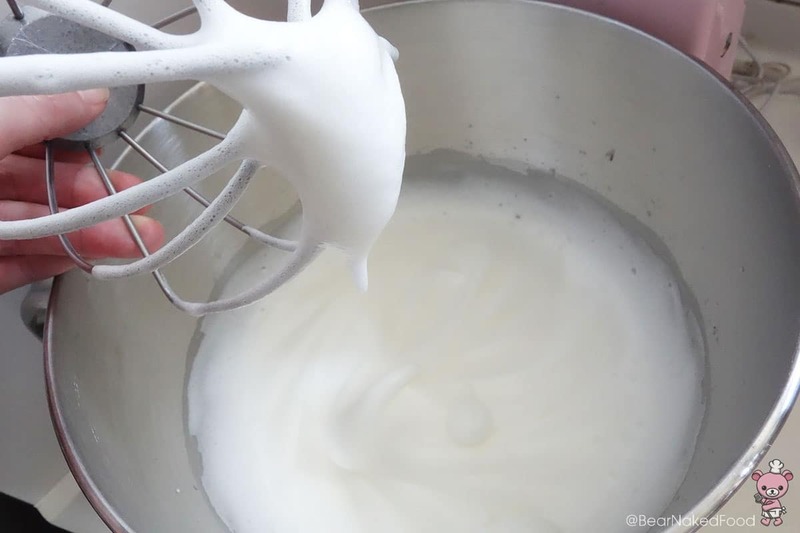 Using a stand mixer or handheld mixer, beat the egg whites at medium speed till soft peak. Beat at medium speed. If you are using a KitchenAid, set it between 4 and 6. 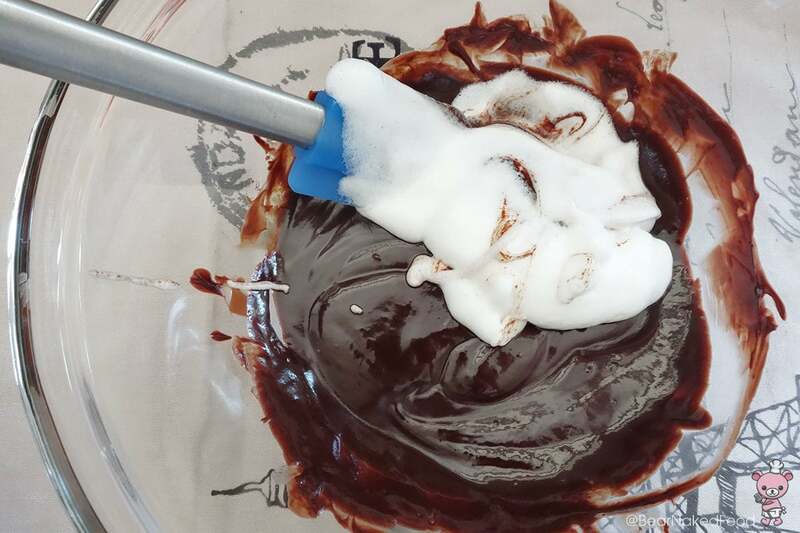 While waiting for the soft peaks to form, add the egg yolks and salt to the cooled chocolate mixture and mix well. It is now ready for the sugar. 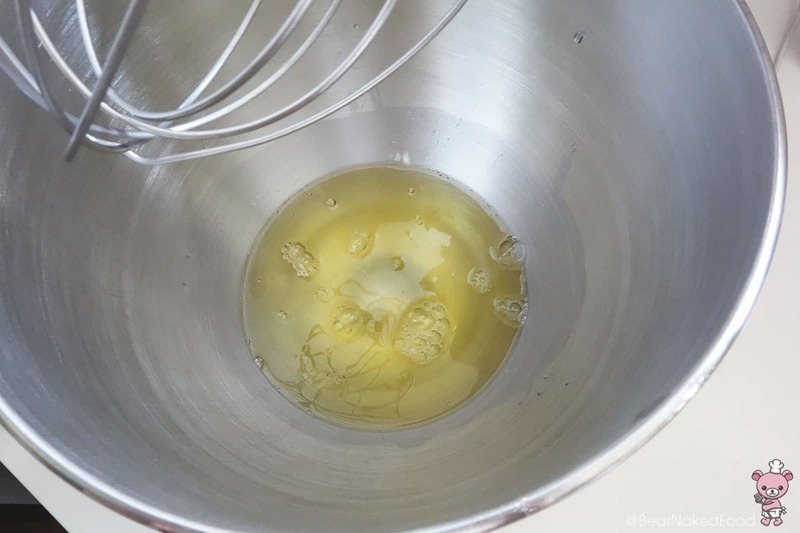 When the egg whites are at soft peaks, add in the sugar gradually while the mixer is running. 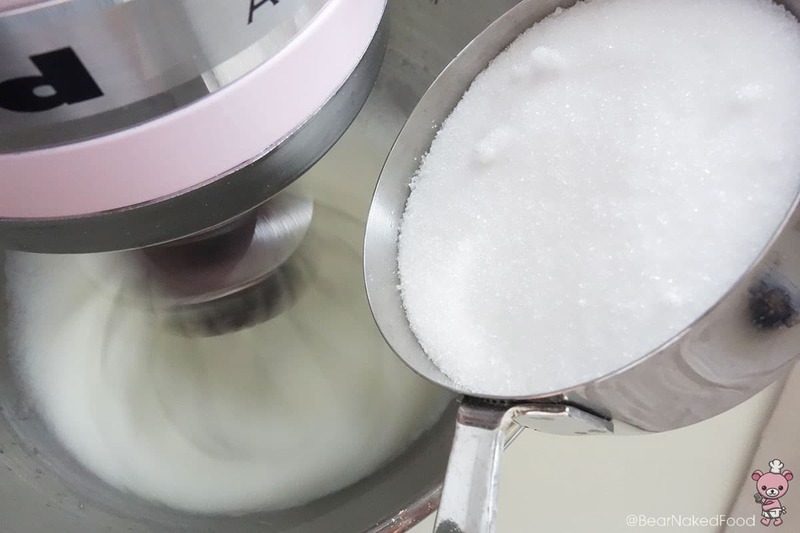 Do not dump all your sugar at once or your egg whites will go flat. Continue to mix at high speed until it just hits stiff peak. It does not need to be super stiff. Turn up the speed to high. This is the right consistency. Remember it does not need to reach stiff and shiny stage. 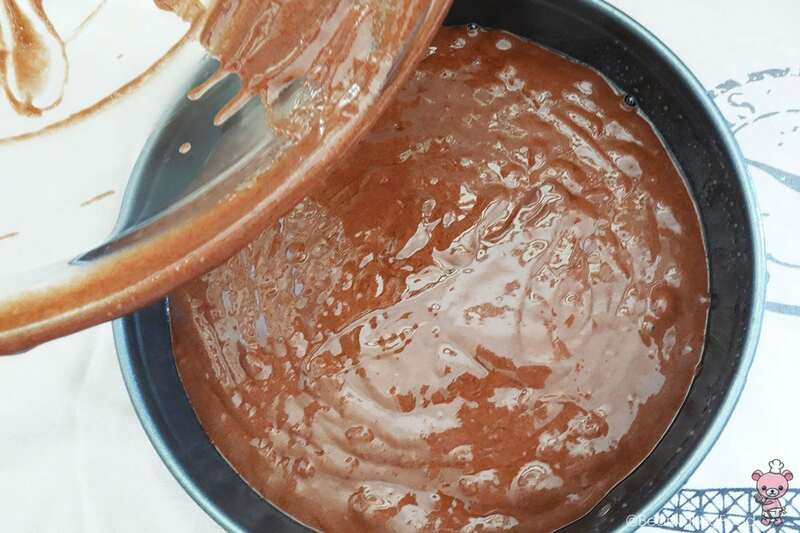 Add in ¼ of the egg whites to the chocolate and stir well. This will lighten the mixture and make it fluffy. 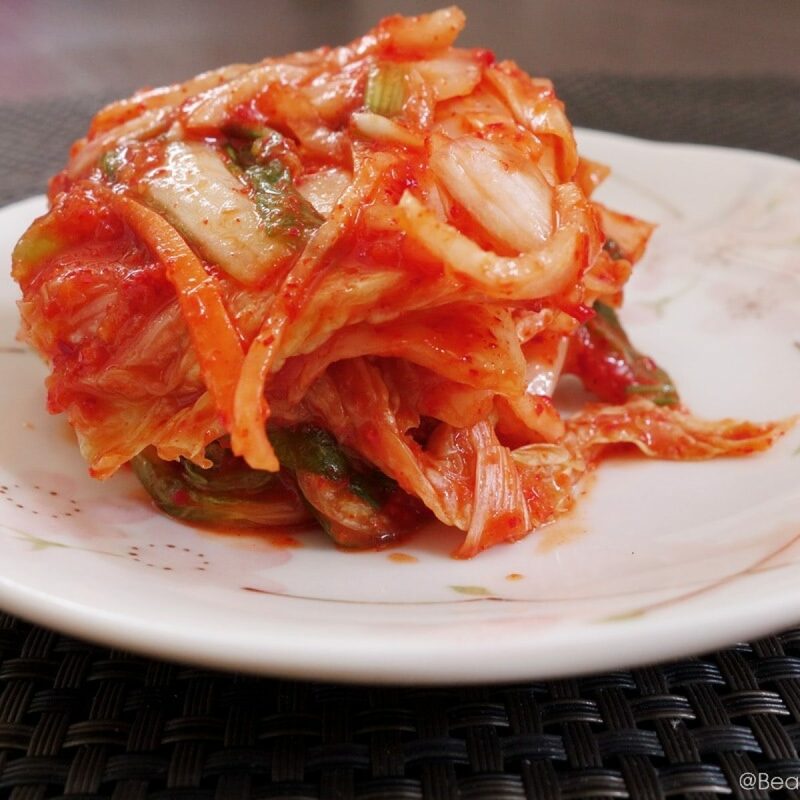 Fold in the remaining egg whites. Click on this link on how to fold egg whites. 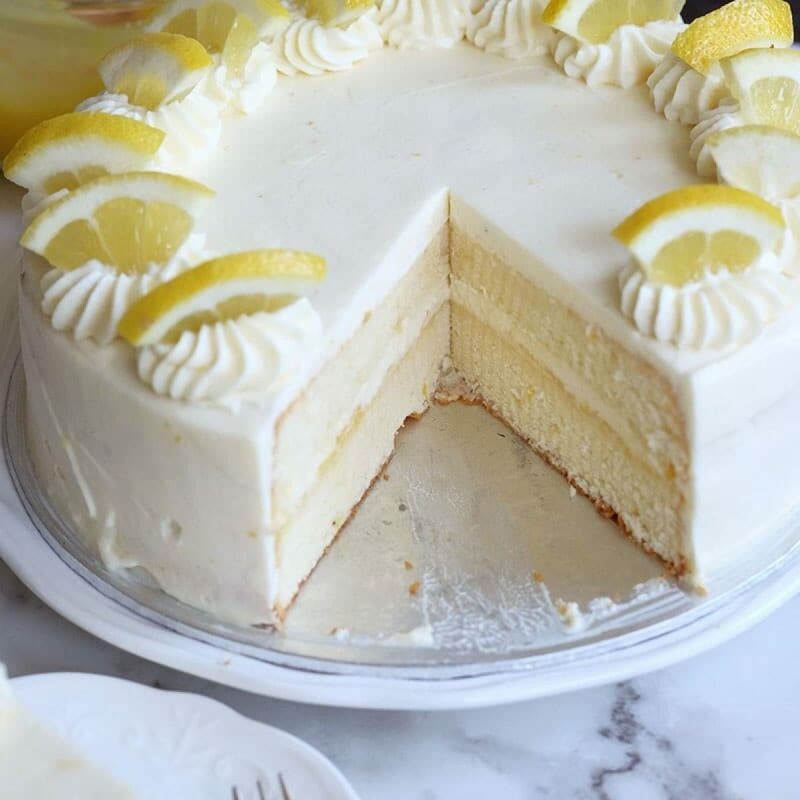 Pour into a 9 x 3 buttered or oiled spring form pan and bake for 45 – 50 mins, until the cake pulls away slightly from the sides of the pan. Cool completely on wire rack. 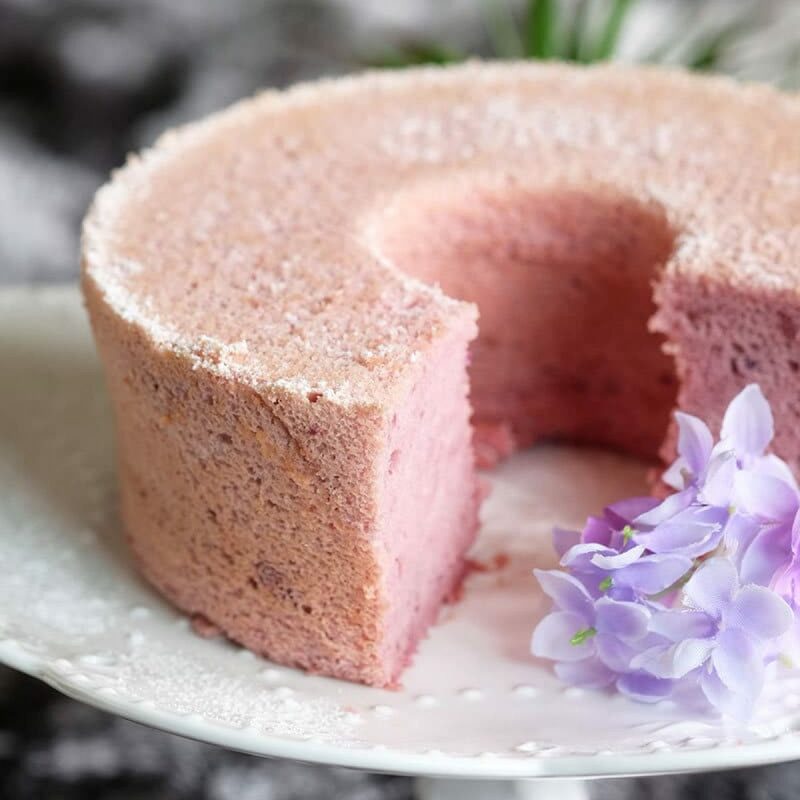 Remove the spring form and dust with confectioners’ sugar and serve at room temperature. Ta-da! The signature crackly top. 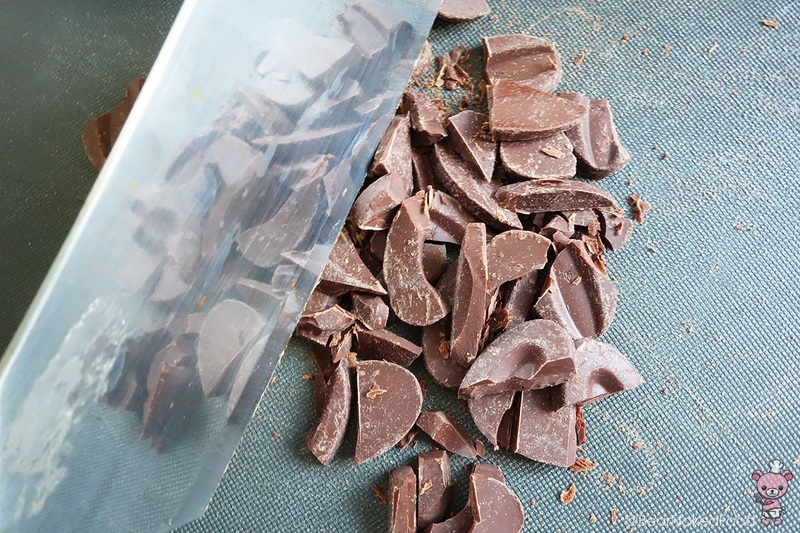 Using a springform pan makes the unmolding process easier. 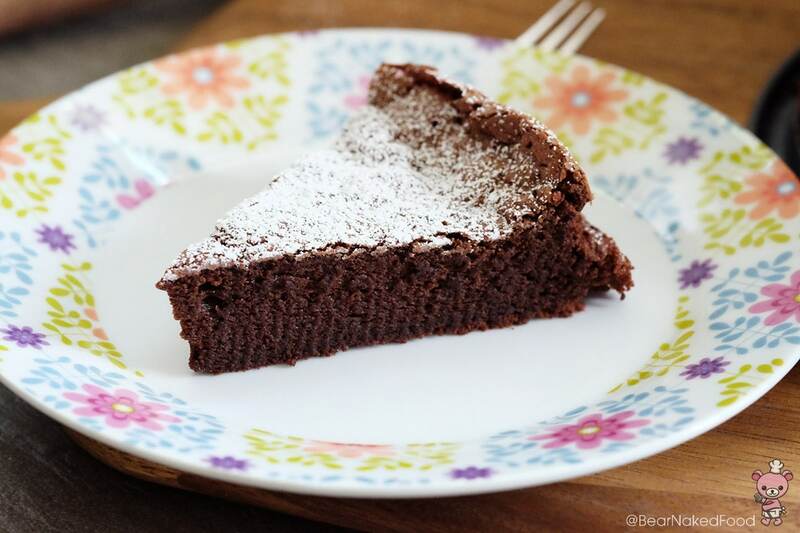 A light and fluffy flourless chocolate cake that uses only 4 ingredients. 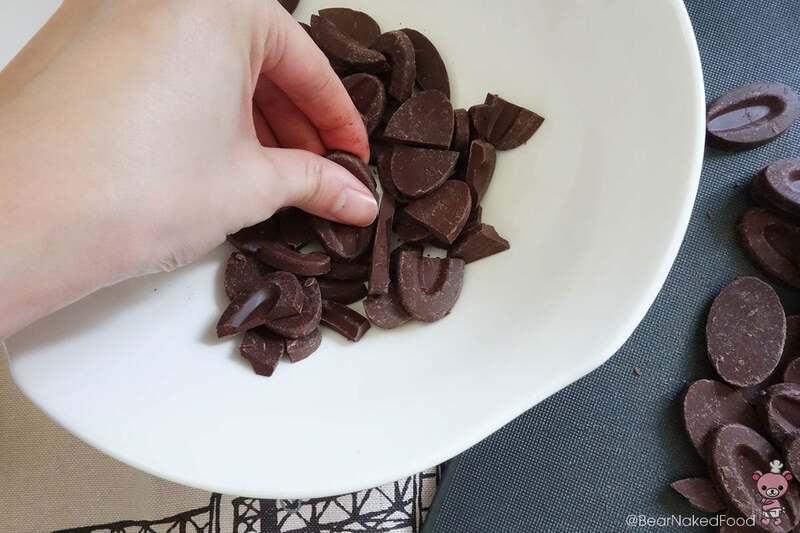 In a large bowl, melt the chopped chocolate and butter over a pot of simmering water (bain marie method). Do not let the bowl touch the water. 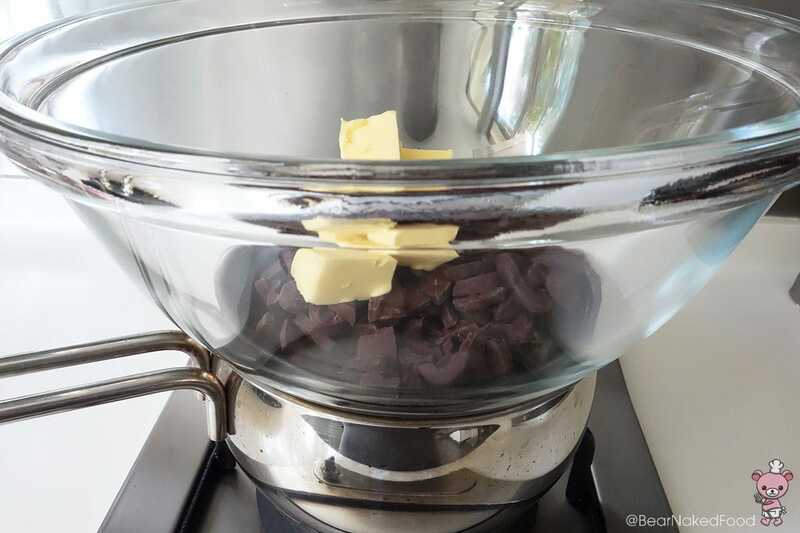 Stir until the chocolate and butter are dissolved. Remove from heat and set aside to cool. 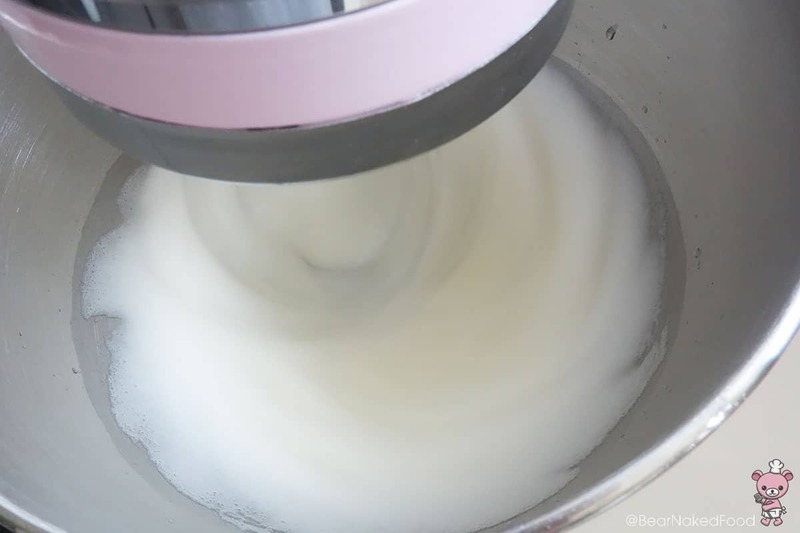 Using a stand mixer or handheld mixer, beat the egg whites at medium speed till soft peak. 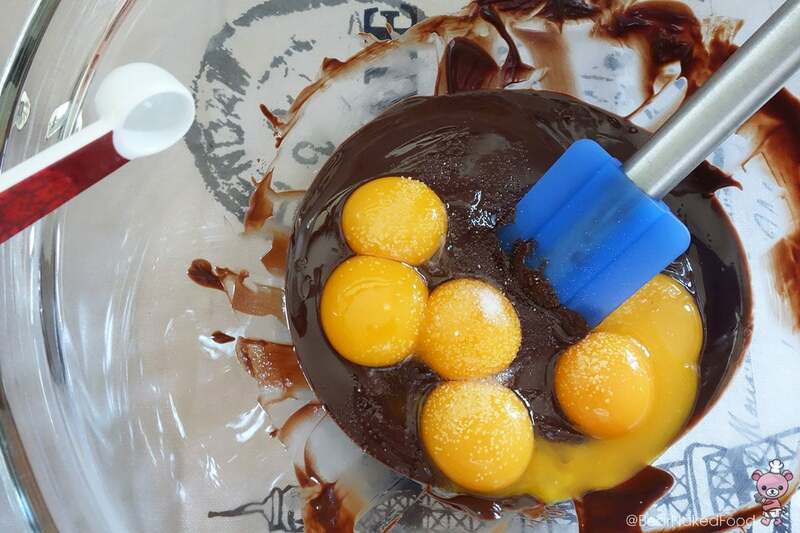 While waiting for the soft peaks to form, add the egg yolks and salt to the cooled chocolate mixture and mix well. 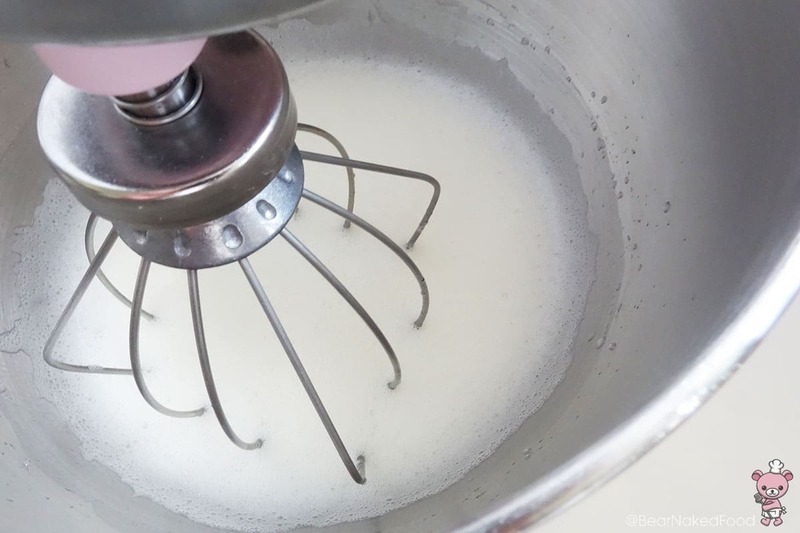 When the egg whites are at soft peaks, add in the sugar gradually while the mixer is running. Do not dump all your sugar at once or your egg whites will go flat. Continue to mix at high speed until it just hits stiff peak. It does not need to be super stiff. 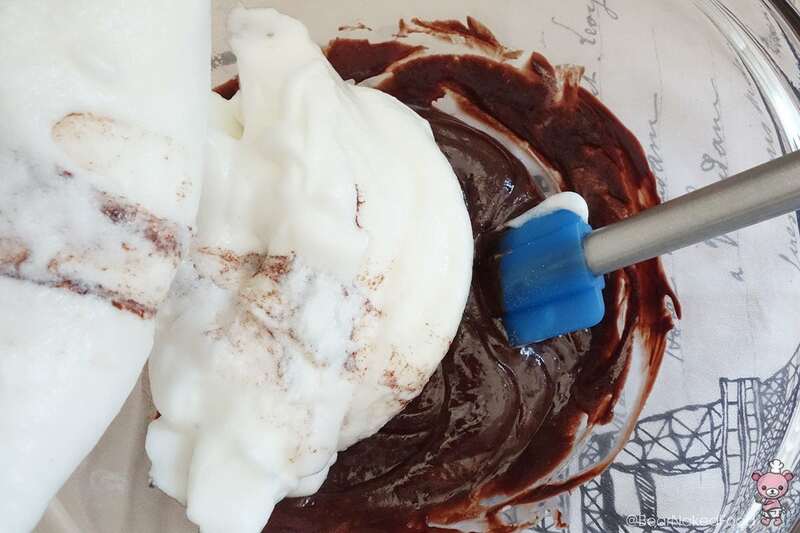 Add in ¼ of the egg whites to the chocolate and stir well. 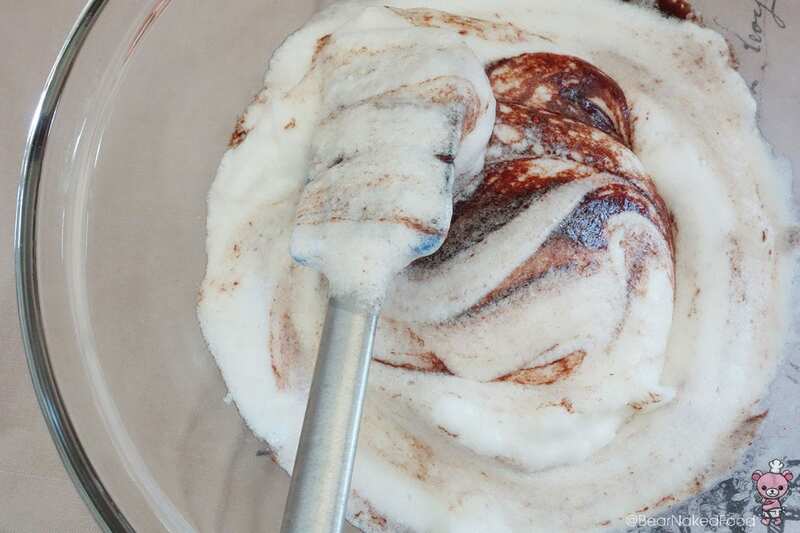 This will lighten the mixture and make it fluffy.Fold in the remaining egg whites.